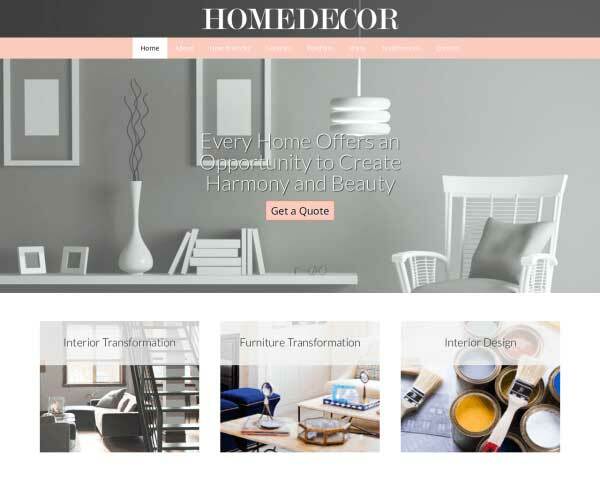 Your portfolio can attract new clients when displayed beautifully online through a professional, custom website built with the Interior Design WordPress theme. All that's missing is your own photos and text. 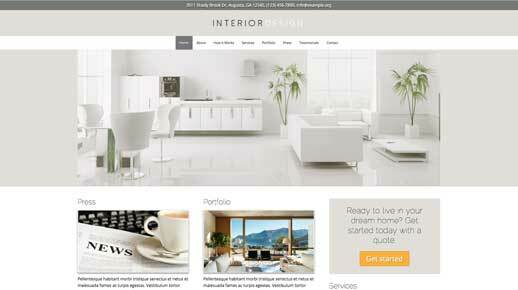 The Interior Design WordPress Theme is the result of invaluable input from actual interior decorators. So you can rest assured that it meets your needs. 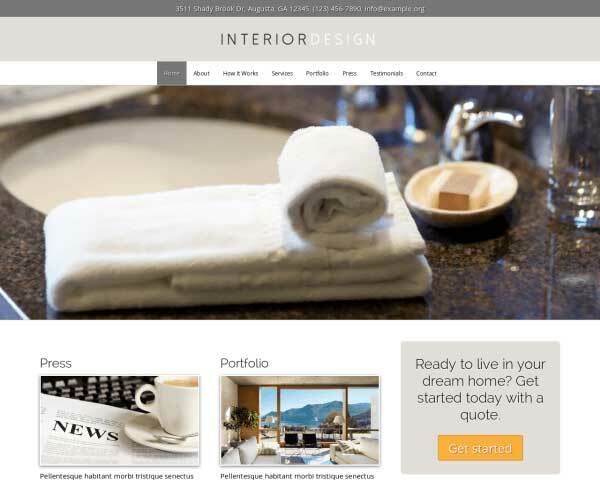 The Interior Design WordPress Theme's Contact page features an integrated Google map and a built-in contact form. Easily customize the fields to suit your needs. Show clients the steps involved and what to expect when they hire you to decorate with the How It Works page included on the Interior Design WordPress Theme. 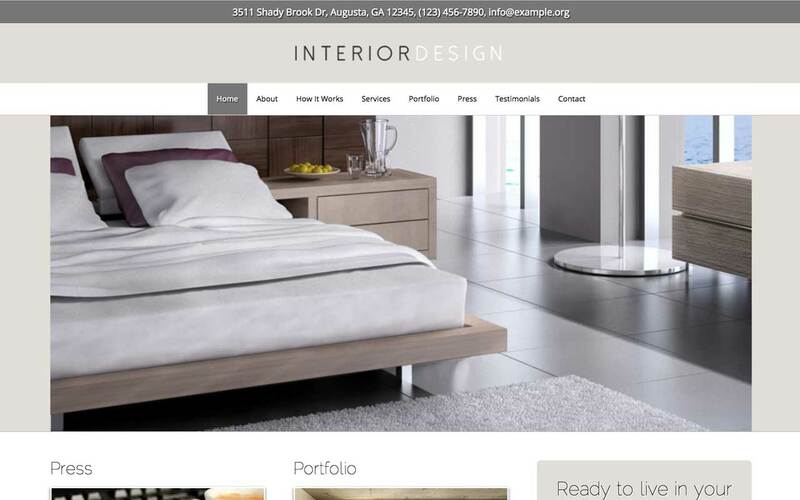 Showcase your photos on the Interior Design WordPress Theme with two-, three- or four-column image galleries. Clicking on a thumbnail opens the photo in an elegant lightbox slideshow. Display an overview of all projects in each category on the Interior Design WordPress Theme's project overview pages. Visitors can click on any thumbnail to see more photos and details about each project. With the Interior Design WordPress Theme you enable yourself to proactively invite people to ask for an offer for a certain job. This way you set yourself up for success and maximizing profits through your online channel. 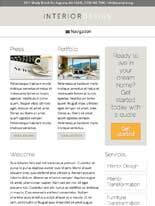 The Interior Design WordPress Theme enables you to showcase all you services in a nice overview. Neatly and cleanly laid out for your prospects with a nice rollover effect. An important feature is to be able to redirect people to the most popular social media platforms you use. It's only natural that we've included these in the Interior Design WordPress Theme. When you build your website with the responsive Interior Design WordPress theme, you can be sure that your online portfolio will impress clients accessing your site on both desktop browsers and handheld devices. That's because this website template is mobile-optimized right out of the box, with no coding or plugins required. The layout of your content will automatically adjust to fit neatly on any screen size, so your interior design services and dazzling photos of your completed projects will look great even on smartphones and tablets. Mobile visitors can simply tap your phone number to dial or tap on your email to open a new draft.